Exercise classes for mixed mobility. Our friendly therapists always on hand to help. 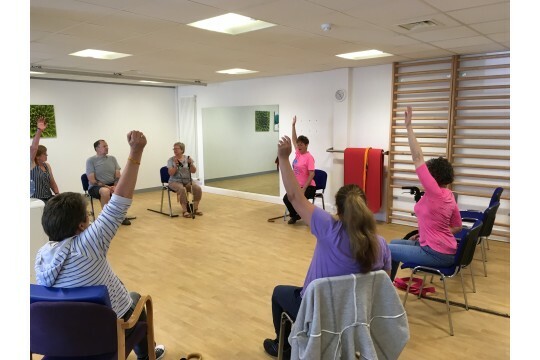 We provide comprehensive, holistic support for people living with MS and other Neurological Conditions in Swindon and the surrounding areas. Each day we strive to improve the quality of life for those affected by MS and other Neurological conditions by providing support and a range of therapies in a well-equipped, positive and caring environment. We encourage self-help and alleviate feelings of isolation by offering a space to come for a coffee and chat and to share their experiences with others. We are a vibrant community supporting our members and their families and contributing to their sense of happiness, self-worth and independence. Our expertise delivers sustainable benefits for our members and credibility for the Centre.